The problem of forgery is a headache in all parts of the world, and the anti-counterfeiting technology applied now, such as holographic anti-counterfeiting, will also be forged by criminals. The application of radio frequency identification technology in the field of anti-counterfeiting has its own technical advantages, and it has the advantages of low cost and difficult to forge. The cost of electronic tags is relatively cheap, and the manufacture of chips requires expensive factories that discourage counterfeiters. 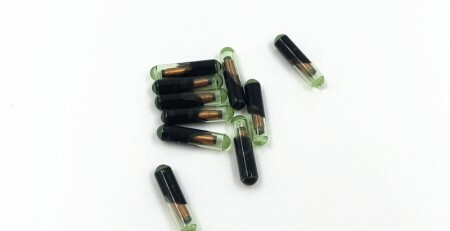 The electronic tag itself has a memory, which can store and modify data related to the product, and is convenient for authenticity identification. The use of this technology does not require changes to the current data management system, the only product identification number can be fully compatible with the used database system. In the future access control security system, electronic tags can be applied. One card can be used more, such as work permits, pass permits, parking permits, hotel accommodation certificates and even travel passports. The use of electronic tags can effectively identify people, conduct security management and efficient charging, simplify entry and exit procedures, improve work efficiency, and effectively protect them. The system automatically recognizes the identity when a person enters or exits, and an alarm occurs when an illegal entry occurs. Where the security level is high, the fingerprint, palm print or face features can be stored in the electronic label in combination with other recognition methods. Radio frequency identification technology can be used for animal tracking and management. The electronic label encapsulated in small glass is planted under the skin of the animal, which can identify important information such as livestock and monitor the health of the animal, and provides a reliable technical means for the modernization of the pasture management. In large-scale farms, the use of radio frequency identification technology to establish breeding archives, vaccination archives, etc., to achieve efficient and automated management of livestock, while providing food safety. Radio frequency identification technology has been successfully applied to the postal automatic sorting system in the postal field. The system has the characteristics of non-contact and non-line-of-sight data transmission, so the package orientation can be ignored regardless of the package orientation. In addition, when multiple targets enter the identification area at the same time, they can be identified at the same time, which greatly improves the sorting ability and processing speed of the goods. In addition, since the electronic tag can record all the feature data of the package, it is more beneficial to improve the accuracy of the sorting of the parcel. The use of radio frequency identification system for intelligent warehouse cargo management can effectively solve the management of information related to cargo flow in the warehouse, monitor cargo information, know the inventory situation in real time, automatically identify the goods, and determine the location of the goods. Radio frequency identification technology provides convenient, fast and accurate automation technology for tracking management and monitoring of goods. The automatic identification of containers based on radio frequency identification technology has become the largest cargo tracking management application in the world. An electronic tag that records data such as container location, item type, quantity, etc. is mounted on the container, and the exact location of the container in the yard can be determined by means of radio frequency identification technology. The system can also identify unallowed container movements for management and security. One of the areas with the greatest potential for RFID systems, especially for contactless cards (electronic tags), is in the public transport sector. 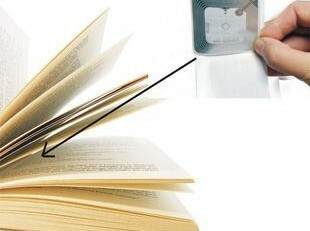 Using electronic tags as electronic tickets, it is easy to use, can shorten transaction time, and reduce operating costs. Due to its strong resistance to harsh environments and non-contact identification, RFID technology has many applications in production process control. By using RFID technology in the automated flow line of large factories, material tracking and production process automatic control and monitoring are realized, which improves production efficiency, improves production methods and reduces costs. Radio frequency identification technology can be used to monitor, count, and schedule road traffic flow in real time. It can also be used as vehicle red light recording alarm, stolen (suspicious) vehicle alarm and tracking, special vehicle tracking, and accidental escape vehicle investigation. According to reports, the UK plans to install RF chips on cars, which will be automatically “reported” when driving overspeed. The highway toll collection system is one of the most successful applications of radio frequency identification technology. The application of RFID technology in the automatic toll collection of highways can fully demonstrate the advantages of this technology. When the vehicle passes through the toll booth at high speed, the payment is automatically completed, the bottleneck problem of the traffic is solved, the speed of the car is improved, the congestion is avoided, the charging calculation efficiency is improved, and the toll fee charged by the toll collector is solved.